Black Sabbath’s third album is often overlooked. The first two were really defining a sound so they get more of the limelight. This one saw the band taking some time to explore the soundscape they had wrought. For my money it’s a great disc, and while perhaps not as earth-shattering as the first two, every bit as good as them. 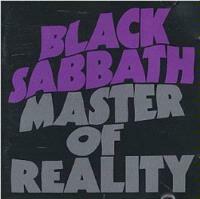 I’d consider this a “must have” for any Black Sabbath collection. This has always been one of my favorite cuts here. It’s a scorching, high-energy early Sab stomper. Those who think of Black Sabbath as some dark, evil band, will be surprised to find that this has Christian lyrics. I like the back and forth stereo effect on the instrumental break – even if it’s a bit dated. A cool instrumental section leads this off in an unusual way. They fire out from there in a fast paced jam that’s got an almost trash can feeling to the percussion. This is a killer cut that still holds up remarkably well. It’s classic Black Sabbath and one of the highlights of the set. They close this with a weird little “ghost like” section. This is a pretty acoustic guitar based instrumental segment. It’s basically just an acoustic guitar solo, but there are multiple layers. There’s a bouncy sort of nature to this, but the cut is really a smoker. It’s probably the closest to the music from Paranoid of anything here. This is early metal crunch at its best. Sabbath take us on a great musical adventure with a number of changes and alterations. This has always been one of my favorite Sab cuts. Here they give us a pretty mellow cut. This is moody and tranquil. The group have always flirted with this kind of sound, but this might be one of the best of these numbers. It has a definite “hippie” feeling to it, but none of the cheery nature that that implies. At times comparisons to early Hawkwind are warranted. While some might question including something like this, it provides a great break and makes the harder edged stuff seem even harder by comparison. Plus, it’s just a cool piece of music. A killer extended riff opens this, feeling perhaps a bit like something we’d come to expect from Rush in later years – I suppose comparisons to Zeppelin would be warranted, too. They take this through a couple of differing segments before dropping it to a smoking crunch riff jam. This is a thrilling ride with several twists and turns. It’s actually another of my favorites here and a great way to end things on a high note – at least in terms of power and musical quality if not lyrical mood.